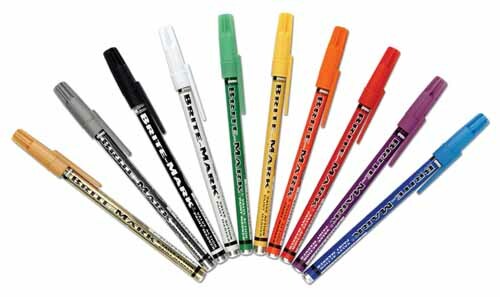 Home > Paint Pens Fine/XFine > Dykem Britemark Fine Point With Replaceable Nibs-DISCONTINUED! Dykem Britemark Fine Point With Replaceable Nibs-DISCONTINUED! Dykem Brite Mark Fines are one of the nicer finer tip markers offered and the only one that offers replacement tips. Very nice tip and excellent colors. 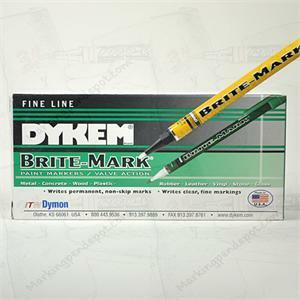 Dykem Brite Mark markers are xylene based. Replaceable nibs available for all Brite Mark paint pens.